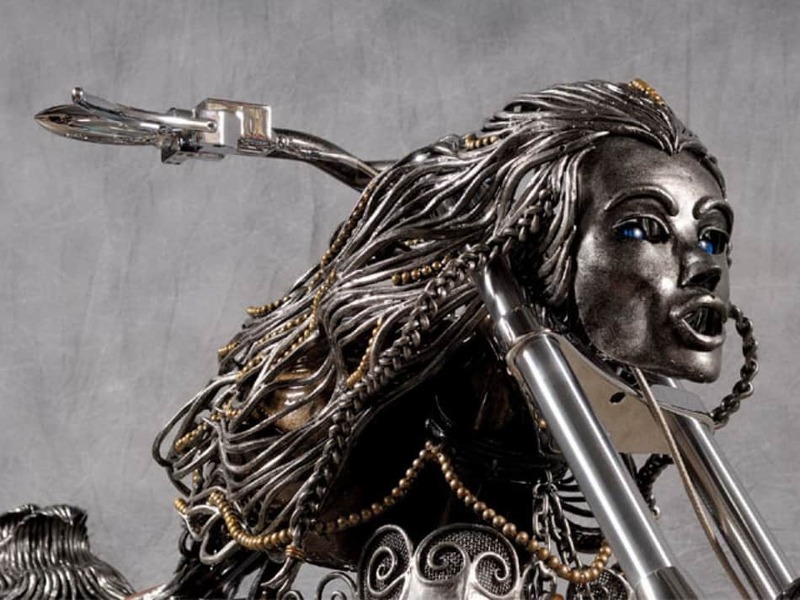 A two-part project by Metropolitan Choppers and metal sculptor Scott Cawood, The “Siren Of TI” Chopper is a 900 pound master piece constructed with nearly 250 pounds of scrap iron and steel as a tribute to the beautiful Sirens of Treasure Island Casino in Las Vegas, Nevada. 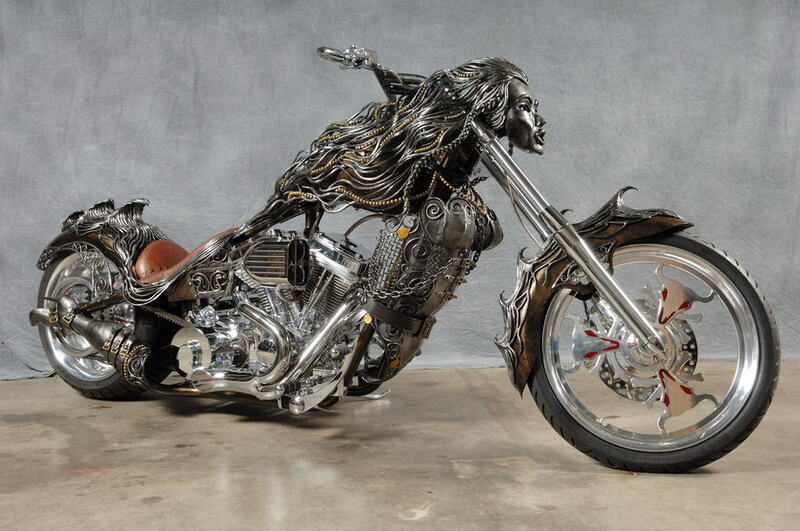 The Treasure Island Hotel and Casino was running a free nightly show called The Sirens Of TI and they commissioned Metropolitan Choppers to build a series of four custom bikes to be offered as prizes for the players. 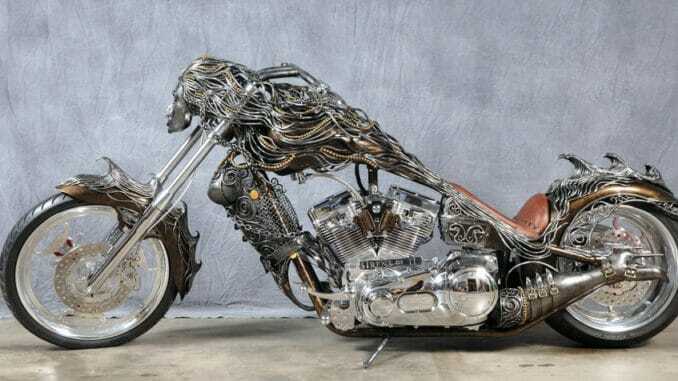 This “Siren Of TI” Chopper you see here isn’t a prize bike, though, it’s all about the art and is on permanent display to the public on the casino floor..
Chopper builders Rick Hill and Big Dan, of Metropolitan Choppers enlisted metal sculptor Scott Cawood to complete this eight month’s time project. 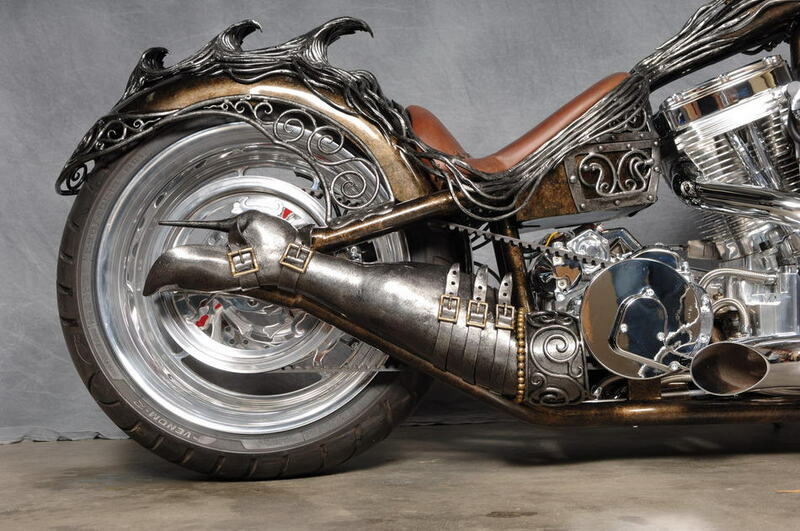 Scott specializes in transforming scrap metal into artwork, so the siren bike was right up his alley. 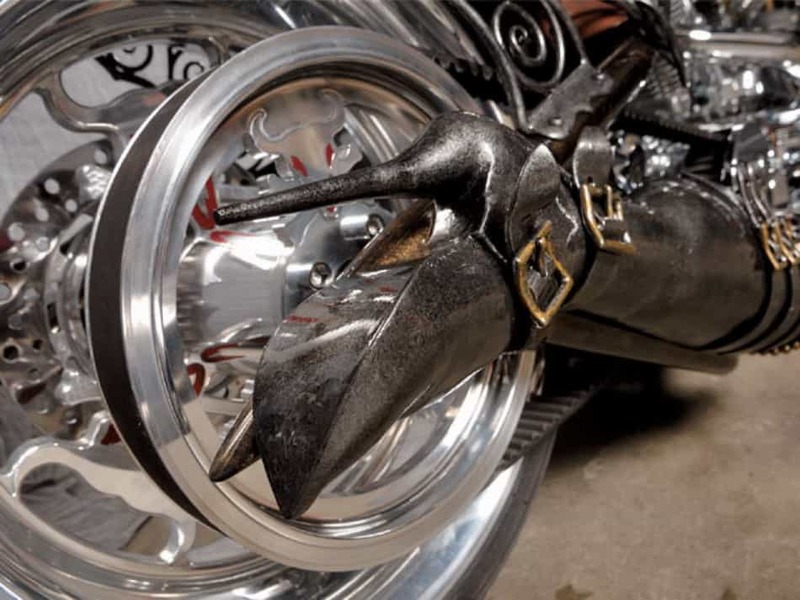 “I cut, forged, bent, shaped and welded mild steel to create the sculpture. 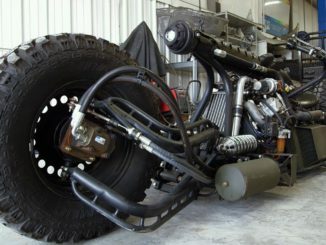 I envision her as an ancient but dynamic force rising up out of the ocean”, he continued. 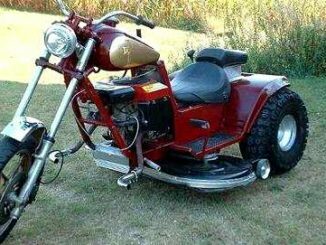 The creative team that stood behind this project has taken the art of bike creation to a whole new level, with the highly realistic and distinguished detail.